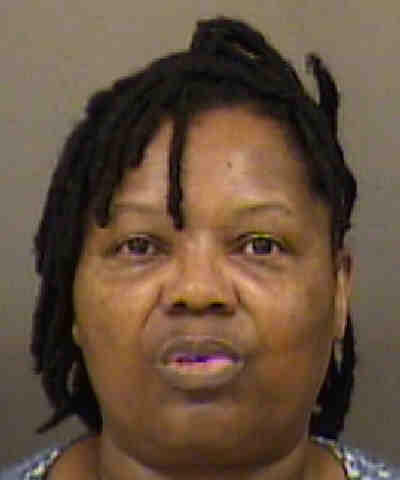 CMPD says Elvira Thomas tried to get a stolen gun through a security checkpoint at Charlotte Douglas International Airport. An American Airlines employee was arrested this week after police say she tried to bring a stolen gun through a Charlotte Douglas airport security checkpoint. Elvira Thomas, 62, was charged Tuesday with possession of a firearm on city property and possession of a stolen gun. Thomas is part of American’s ticket counter staff at the airport. According to WBTV, Thomas was traveling for personal reasons and not on duty. American has placed Thomas on suspension during the investigation. The airline said in a statment that it's "taking the situation very seriously and cooperating with law enforcement during their investigation." American says it does background checks on all its employees.